This historic Dutch area of the city has long needed a sensible plan to control traffic on its narrow streets and lanes, but the city’s previous efforts (in 1966, 2010, and 2018) did not come to fruition. FDNA President Patrick Kennell hopes that this time things will be different. His study notes that the area has grown in population, owing mainly to the conversion of office towers to residential uses after 9/11. There are now 75,000 residents of the downtown area and over 300,000 daily office workers who regularly commute to and from the financial district. In addition, tourism has exploded, with more than 14 million visitors per year filling the small streets and waterfront. 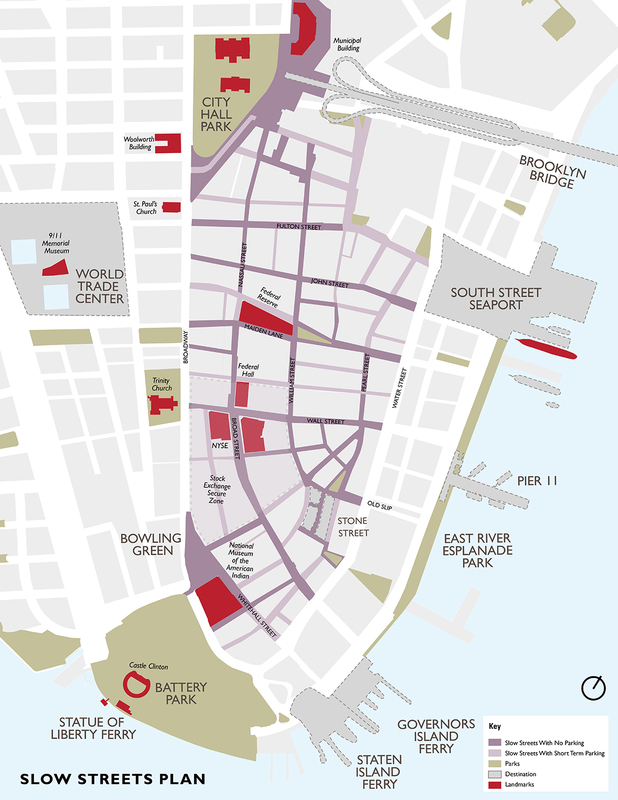 The new plan proposes a “Slow Street District” extending east-west from Broadway to Water Street and north-south from the Brooklyn Bridge to Battery Park. Using bridge-traffic diversion, wider sidewalks, lighting, and other measures successfully implemented in cities like Amsterdam, Copenhagen, and Barcelona, the planners believe that vehicular traffic can be significantly reduced and pedestrian traffic increased. The plan’s before-and-after illustrations portray cobblestone streets full of tourists enjoying cafes and shops while people watching. Will such measures, along with less on-street parking and increased late night garbage collection, finally make lower Manhattan safe for pedestrians and the occasional feathered flock? 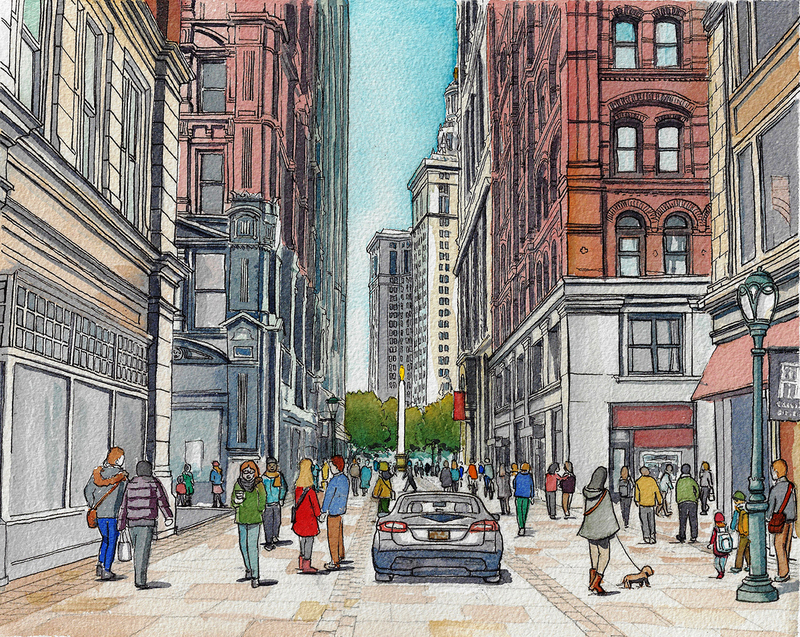 Stone Street and Maiden Lane have seen many changes, and they can wait for a few more.